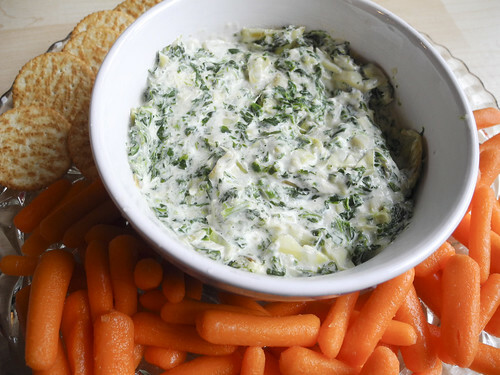 One of the tricks to keeping dips light is serve them with vegetables instead of chips and crackers. Chips and crackers are high in calories and carbs. Veggies I love to serve with dips are carrots, celery, zucchini slices, and cucumber slices. If you are taking the dip to a friends house then offer chips and veggies for the dip. 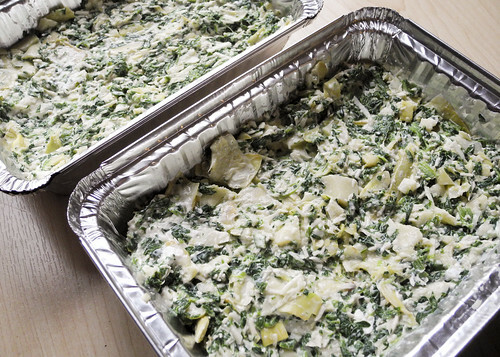 This dip is great because you can easily split this dish into two of the Handi Foil storage containers. So you can bake one up and freeze the other for when you have to come up a dish for an unexpected party or for unexpected guests. There is 6 servings in each of these pans.